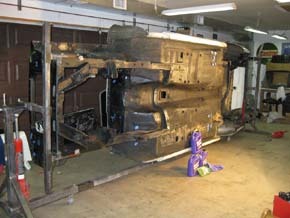 5S003 was disassembled in the winter of 2010 and into early 2011. 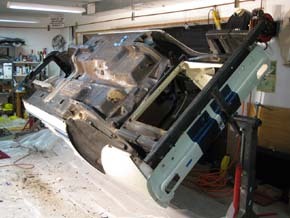 Extensive photos were taken as the progress continued. 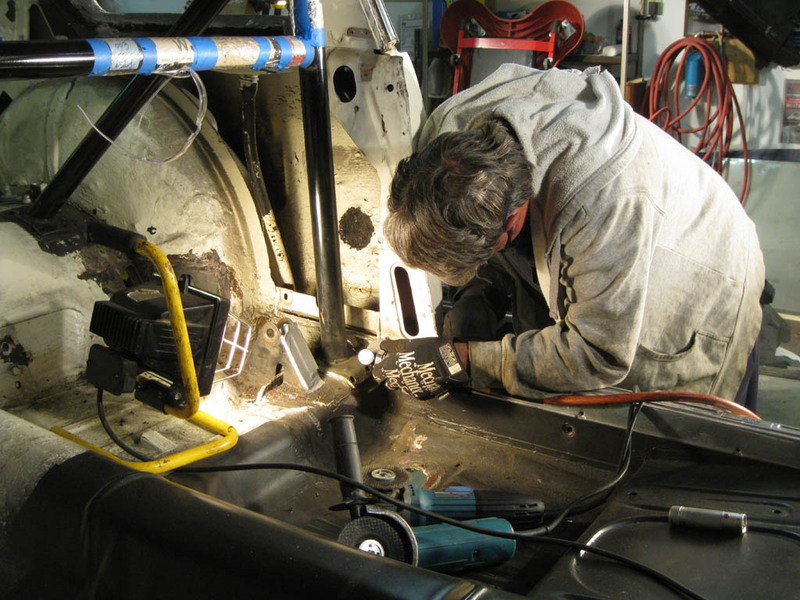 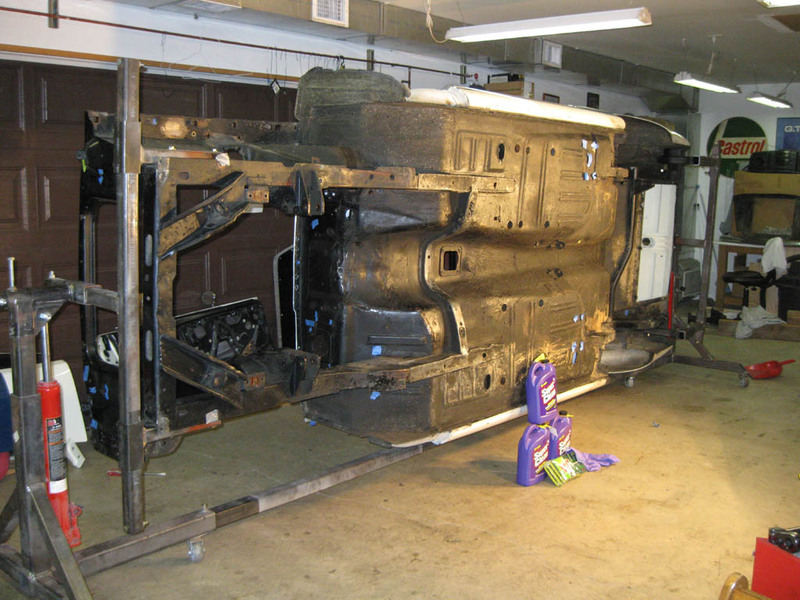 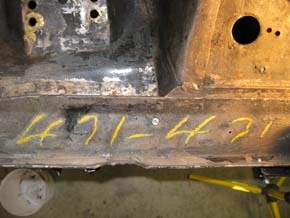 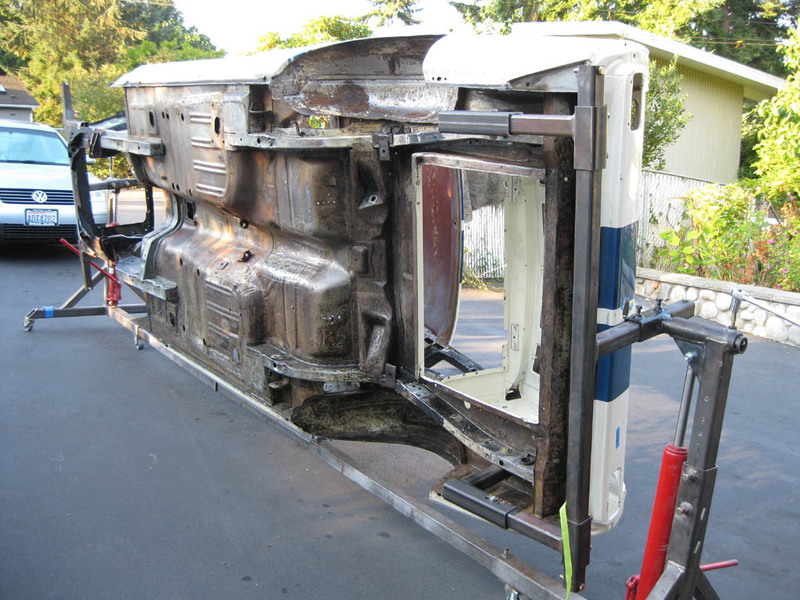 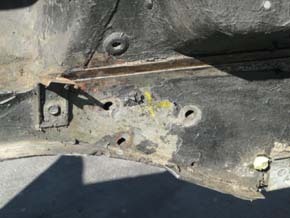 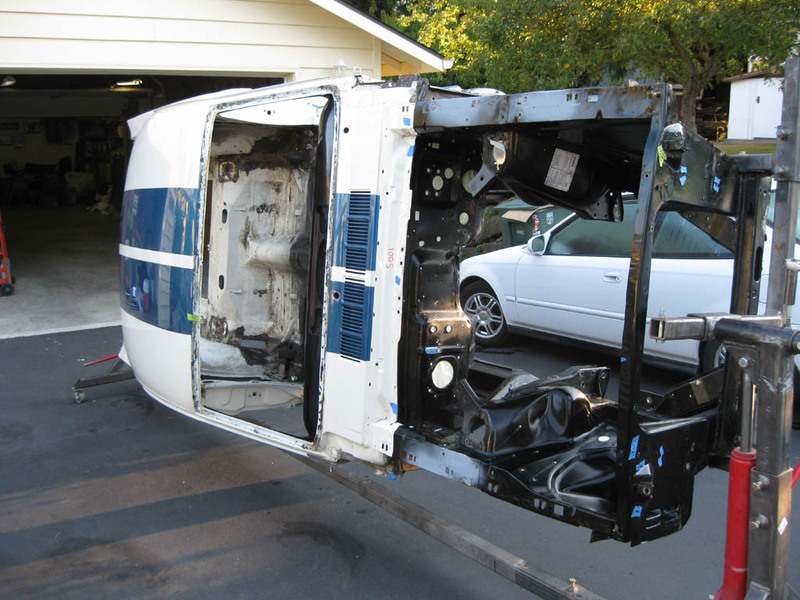 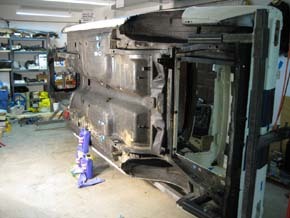 The roll bar was carefully removed as not to damage the original floorpan, and the undercoating applied in 1980 was slowly removed by hand. 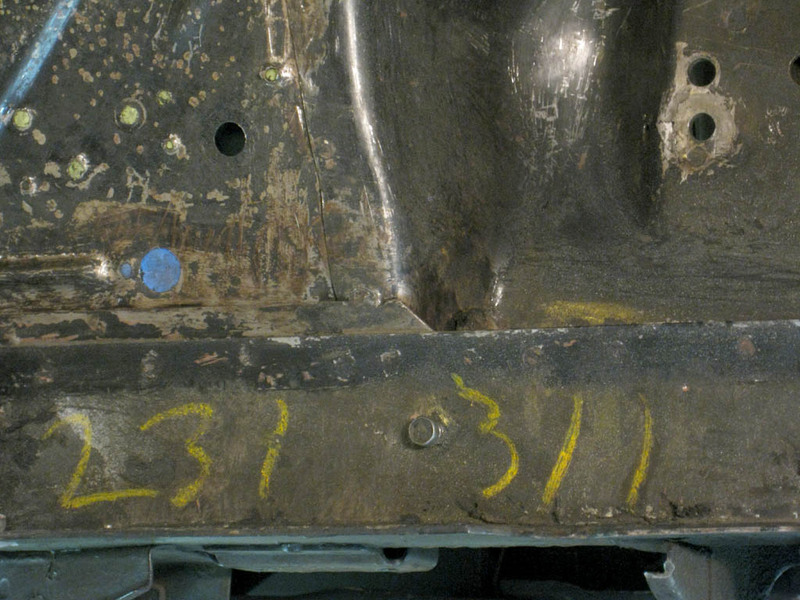 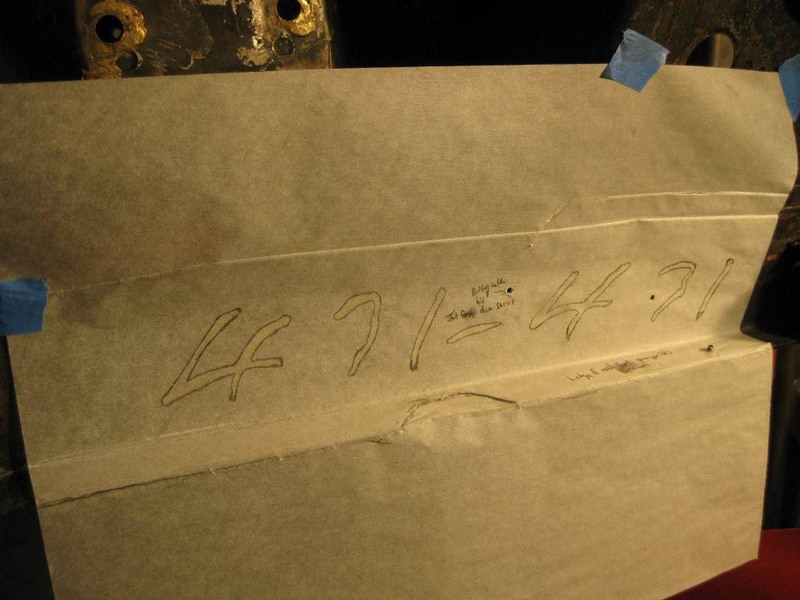 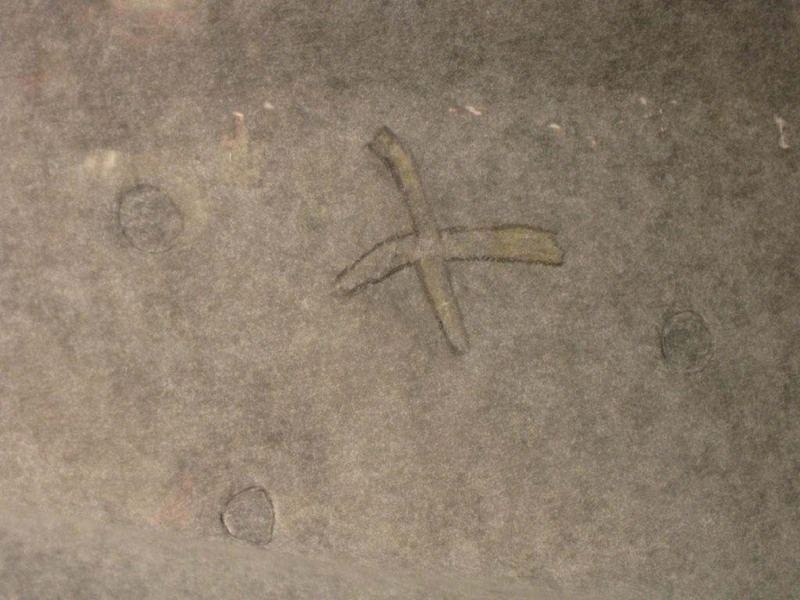 San Jose Ford production line chalk marks, located on the side frame rails, were uncovered, photographed and reproduced on tracing paper. See the Body & Paint (top) section to see the replicated markings. 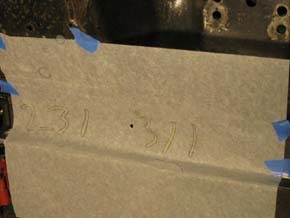 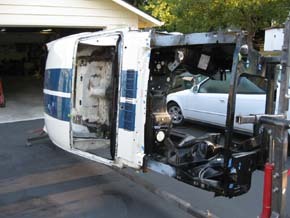 The car was taken outside and photographed in both wide and detailed shots before being taken to the media blaster for paint removal.